Easy, breezy and perfect for relaxation, hammocks should exist in every home. Today’s Ideabook features 5 beautiful homes, courtesy of 5 different architects around the world, that have found the perfect spot for a hammock. From vintage to minimalistic to sea-facing views, there's an idea for just about everyone in here. So take a look and let us know which one you'll be trying in your home! The house featured here is quite small. But that didn't stop the designers from Mukaiyama Architectural Design Office creating a wonderful corner to relax in. The narrow hallway offers a nice spot near the window, where sunlight floods in. A cloth hammock is the perfect complement to those charming city views. 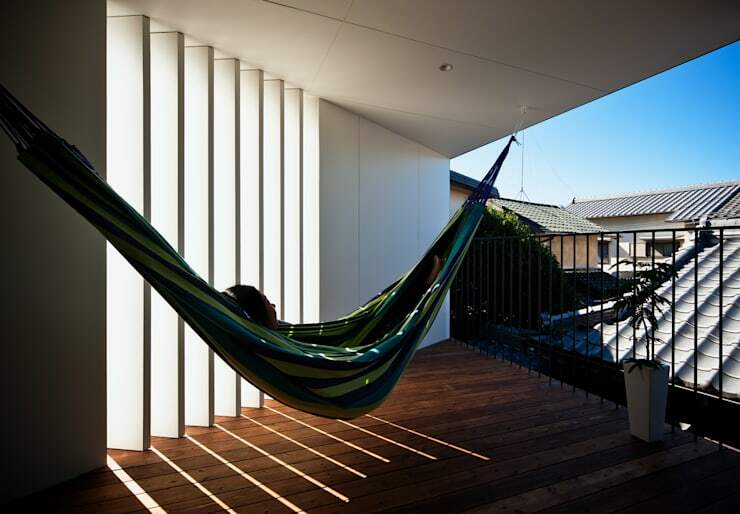 Unlike other hammocks, this one uses a horizontal wooden beam for support. Turning an outdoor space into a living room? Sounds weird, right? Absolutely not. Uzu, an interior design firm, went back to basics with this three-storey home. The living room opens onto a beautiful deck, and a hammock was placed diagonally in order to make the most of the space. 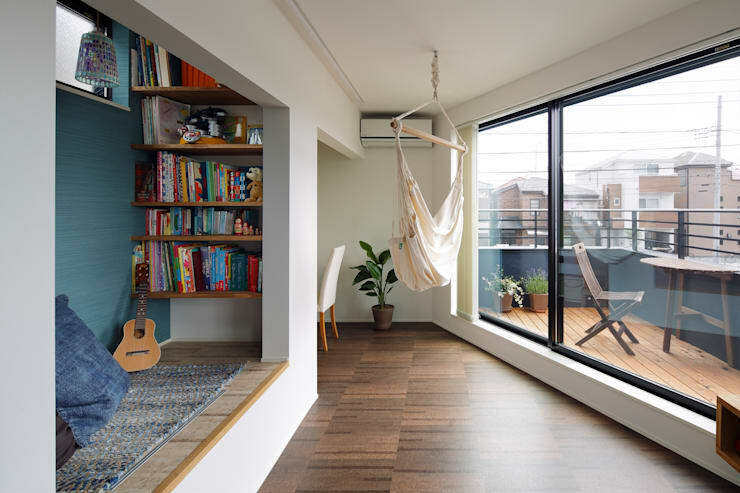 The extension of the living room allows anyone to swing their cares away without leaving the house. Just take a look at this picture. It makes you want to go on holiday immediately! This home, designed by Kutori Co Ltd, uses wood in the most creative fashion. 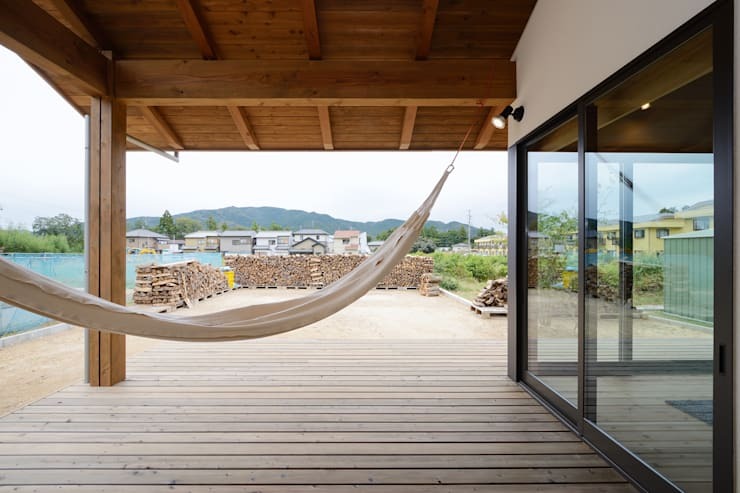 The back of the home opens up towards the sea, while the deck made entirely of sturdy cedar wood and the jute hammock complement the vista perfectly. Forget backyards and terraces. Central courtyards are the new feature to absolutely have in your home! Designed by Tsurumaki Design Room, this home has been decorated keeping in mind that the house has been in the family for three generations. 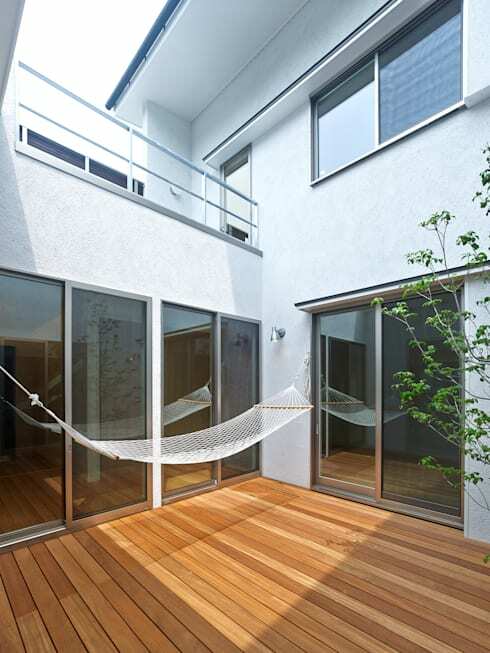 With mild colours and minimalistic décor, the designers added a hammock to the courtyard along with some plants. Ideal for soaking up some Vitamin D every morning in your own private space. NU Renovation found a highly unique place for a hammock in this apartment. The vintage vibe of the home and tasteful décor did not deter them from adding the hammock right in the middle of the living area! 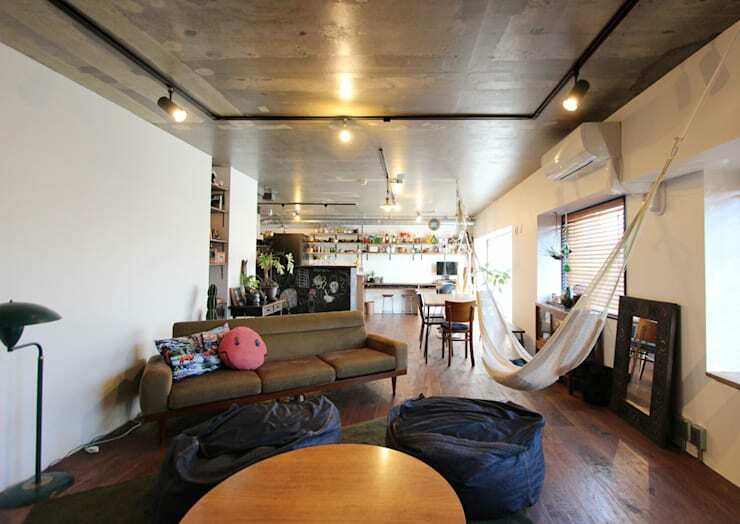 There is comfy furniture everywhere and the hammock makes the space even more inviting and original. Are you already a hammock owner? Discuss.